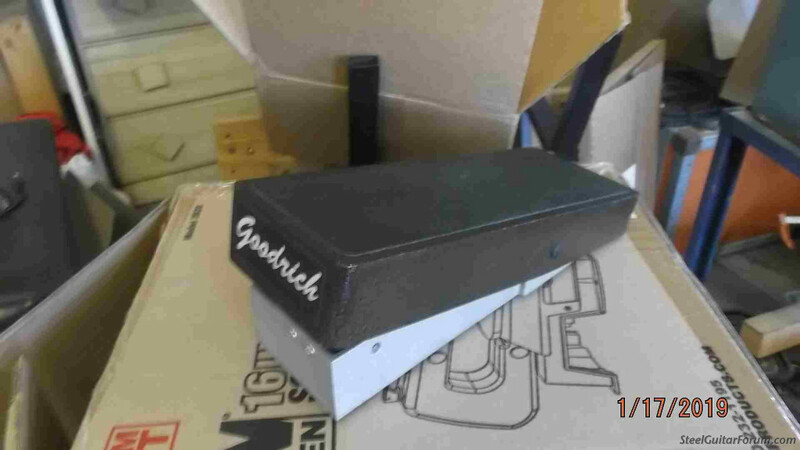 Goodrich 120 Volume Pedal - good Bradshaw pot - works fine. Also comes with a new spare Bradshaw (Dunlop) pot. 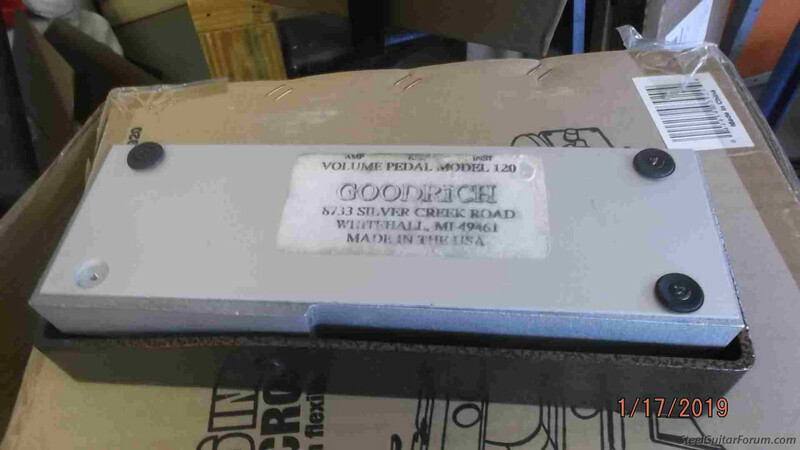 Hey Skip how old is the Vol Pedal?I need something I can depend on for upcoming gigs. Not sure of age but it works perfectly. Had an almost new Bradshaw pot in it when I got it on the forum last summer. I wouldn't hesitate to use it anytime. Buddy I'm back. Ready to meet you somewhere. Let's bump it again. The spare pot alone is $29 I think. I'll take it ! I think I still have your address so I'll put a check in the mail.